Today is it one year since my good friend Martin Davies passed away. I have very fond memories of Martin particularly from the time we spent together working on the BIPP project in Botswana. We did become close friends and I was privileged to be treated like a member of Martins’ family during my stays in Botswana. 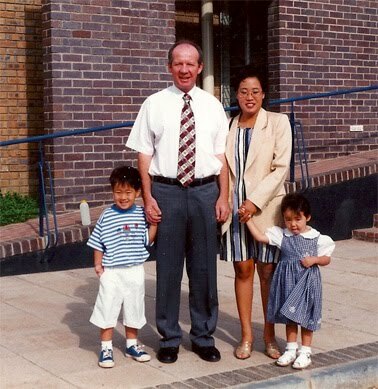 So today I remember him and and also have thoughts for his wife Ok-Kyeong and his two children Thomas and Sain who I am certain will miss him much more than I do. It was a real privilege to have known Martin and to have shared in what was only a pinpoint in his considerable life of achievement. See below a picture of Martin an his family as I like to remember them together. Special people indeed.